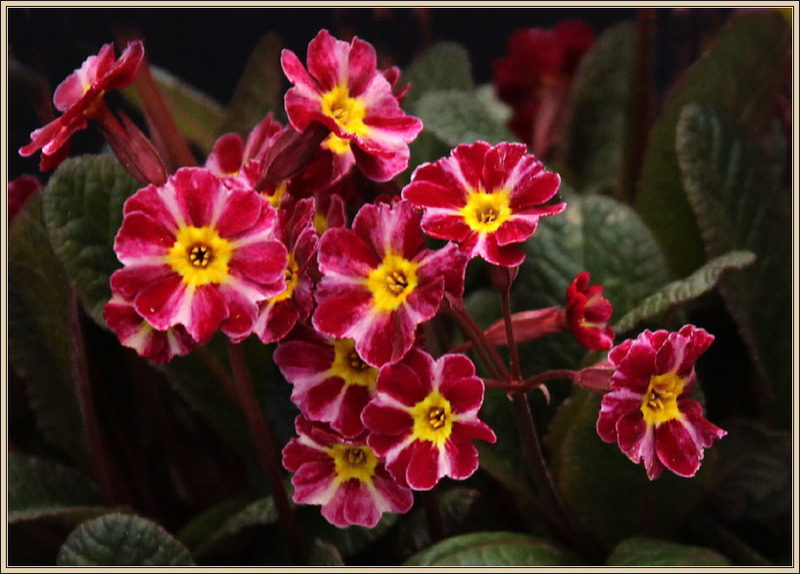 This polyanthus primula cultivar is quite widely available. It has dark bronze foliage with deep purple flowers with a yellow stripe. One leading Scottish nursery notes that it was found in Ireland, but doesn’t say just where it originated. Now is time to set the record straight. 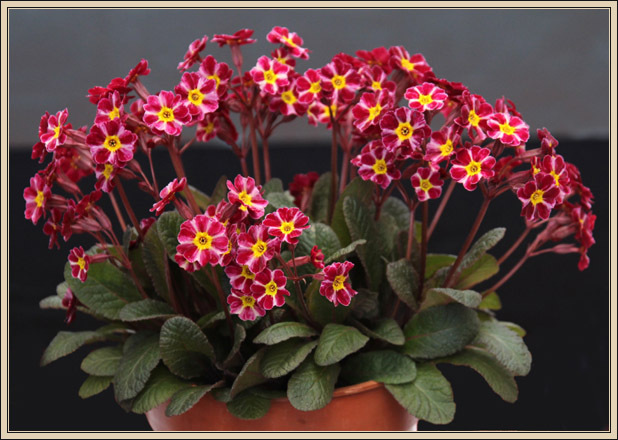 It was raised by Joe Kennedy, the noted Primula breeder from Ballycastle. Joe gave this plant to a lady in Limavady; I was visiting her garden one day and she divided it and gave one half to me. The person who held the National Collection of vulgaris primulas also had it in their collection. I showed it in the ‘Belfast Spring Show’ a few times, winning first in its class. I entered it as Joe Kennedy Hyb. Then Joe came to visit our garden in April 1987 – he was surprised at the way this flower was growing. He named the Primula that day in our garden, calling it ‘Dark Rosaleen’ for my wife. Dark Rosaleen is still doing very well for me. I show it in Coleraine Show each year, still winning firsts with this plant. The plant in the picture was shown at the Dublin AGS show in April this year.